It is four day after CB10 and still feel sore. I am sore all over - legs, back, shoulder, and left foot. What the heck is wrong with me? I jogged very easy for about five miles with a friend from work during lunch time on Monday and shared my race story with him. I felt little sore afterward and think that might be from Sunday's hard race. I thought that was fine. Tuesday was rainy day and I used that to excuse myself to run. In stead of doing my regular tempo run on Wednesday, I ran about eight miles from work to Mt Vernon Trail, then en route back to work thus RC Parkway. Total time was 53:09. Today is April 7, everyone at work was guessing what going to happen next week - rather we'll be working or not... Instead of thinking the unknown, I ran about an hour and half on towpath. I felt fine from the beginning to Lock 5; but on the way back from Lock 5, I felt the discomfort on back, right groin, and left IT band. I ease back on the pace and watched where my feet land on each step, but that didn't seem help much. When I get close to Fletcher's boat house, I saw a pair of turkey vultures on top of a tree next to towpath. I bet you they were waiting for me to fall and taste some Chinese food. However, I somehow manage to back to work with total of 13.4 mile and finished at 1:30:40, that is about 6:46/mile on average. I don't know what is wrong with me. Am I train too much? Am I not rest enough after a hard race? Am I ... I don't believe I am injury and I think I really need to pull back just for a little, it is less than four weeks till New Jersey Marathon after all. Anyhow whatever that is, I am taking next two days off from running, but I may just go for an hour hike near home. Most importantly, I need to get my garden bed ready for the new season and get my tax done. 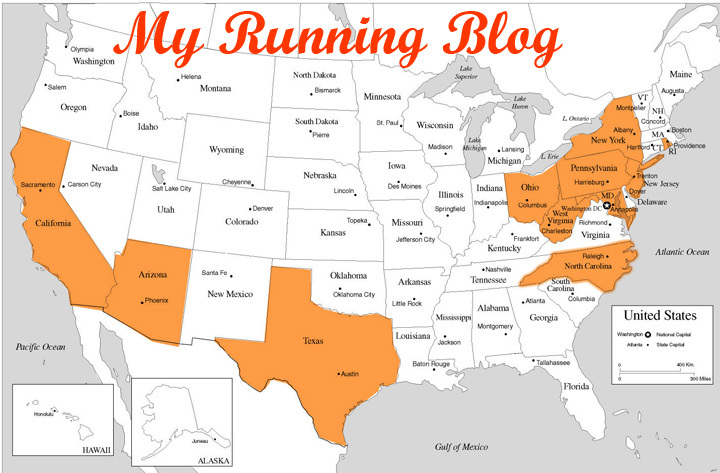 Sunday is my last long run for New Jersey Marathon - a 21-miler. And I must get ready for that and go easy. You just PR'ed in a long race... you will be sore. 6:45 pace for 13 miles while not feeling recovered/potentially injured is probably not a great idea. You will most definitely end up a take out meal for buzzards if you keep it up. Take it easy.